Happy National Poetry Month! Today, I'm celebrating in a big way with a guest blog by someone who is a superb teacher, writer, world-class Emily Dickinson scholar, and treasured friend. Enjoy! For the last 17 years, I’ve been teaching a college seminar on Emily Dickinson. 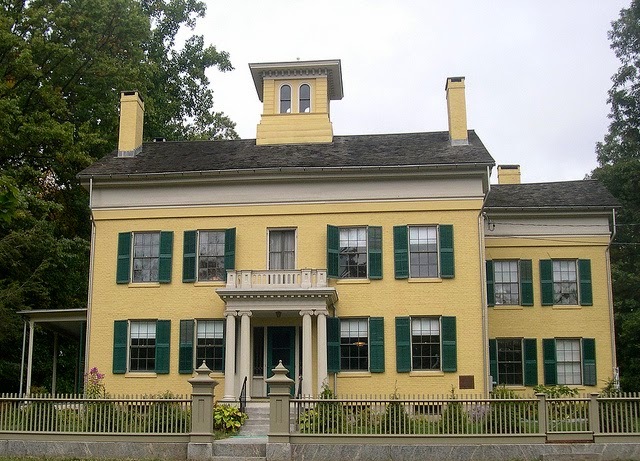 I teach the course in the poet’s house in Amherst, Massachusetts, and in the very rooms where Dickinson created her memorable verse. I joke that the course doesn’t make me work too hard: the house does all the heavy lifting. That’s mainly true. From the moment students walk into the Dickinson Homestead, they are staggered by the quiet, the austerity, and the “certain slant of light”—as Dickinson would say--that warms the old wood floors. Marty Figley was a student in my class a handful of years ago and I will never forget how she exclaimed when early in the semester I off-handedly mentioned that Emily Dickinson owned a big, drooling Newfoundland: a dog named Carlo. 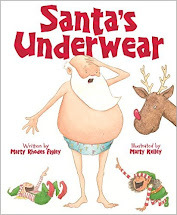 I immediately could see the ideas firing in Marty’s imagination. She was beginning to conjure up a children’s book on Emily and her beloved companion. Sure enough, a few years later Marty’s book, Emily and Carlo was published—a charming and heartfelt evocation of a child, her dog and the love they shared. 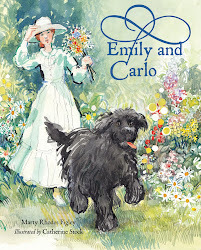 Emily Dickinson said Carlo was one of her best friends and—no doubt—a literary inspiration to boot. Writing to a new friend, Dickinson observed, “You ask of my Companions. Hills—sir—and the Sundown, and a Dog large as myself, that my father bought me.” (Letter 261). For this National Poetry Month, it’s a special pleasure to think about Emily Dickinson roaming the gentle hills of Amherst with her beloved Carlo. Inspiration came from just about everywhere for Dickinson. : spiders, chipped teacups, a neighbor’s chimney, prairies, bees and reverie. “My business is Circumference,” she once said, and she meant it. Poetry captures the world we see, the world we’d like to see, and even the world we try to turn away from. At its best, it clarifies our vision presenting the treasures around us as if they’d just been washed in a cleansing summer rain. Sometime during this month take a walk, look up, look down and consider the world that Emily and Carlo once saw. What you experience may astonish you. And when you return home—pull out a volume of your favorite verse. The words will spin you into the incomparable world of imagination. For Emily Dickinson, there was no better place to live. That is, if she had Carlo by her side. A path traveled by Emily and her beloved Carlo, "just wide enough for two who love." 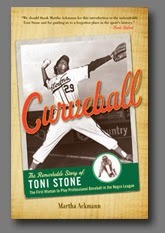 Martha's wonderful book about another exceptional woman! I think it's amazing that you get to work in the place she wrote! I was introduced to Emily Dickinson as part of the syllabus in secondary school and totally fell in love with her, if it wasn't for her I don't think I would have had an A! i would love to be close enough to visit and see where such amazing poetry was created! Wonderful, Claudia. I think you must plan a visit to Amherst for some first-hand poetic inspiration!